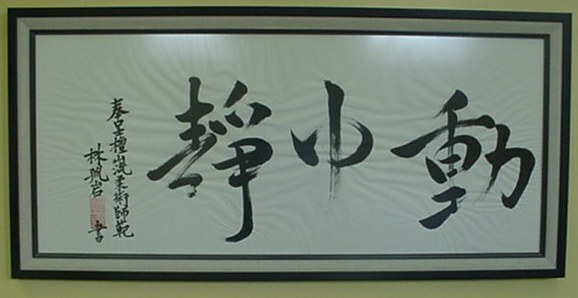 This kata is of Goju Ryu origin, Master Miyagi, the second kata taught at our dojo. The name means War Kata. It may also be translated as the storm within the calm or the lull in the storm. The kata has 126 moves, against 6 attackers but contains no kicks. It takes 55 seconds to execute. The kata begins slowly with power and ibuki breathing from a horse stance. The floor pattern is a Y for the most part. After the intense opening the kata explodes into a full power fast kata. Here is an old film (1966) of Master Tatsuo Shimabuku performing the kata.